Under the Mountain has moved. We’re now located at http://underthemountainblog.com/. WordPress.com has served us well these past few years, but it’s time we graduate the site to the next level. We have a number of projects in the works, which we’ll start rolling out over the summer. 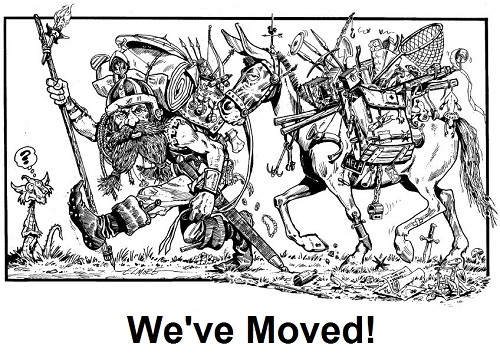 The biggest changes currently in progress are to the archive and list of miniatures companies, but there’s much more planned. This site will stay up until the end of the summer, after which it will be deprecated. Please update your bookmarks and join us over at underthemountainblog.com. P.S. Special thanks to WordPress.com for being such wonderful and supportive hosts!